Not the end of a sentence you were expecting? 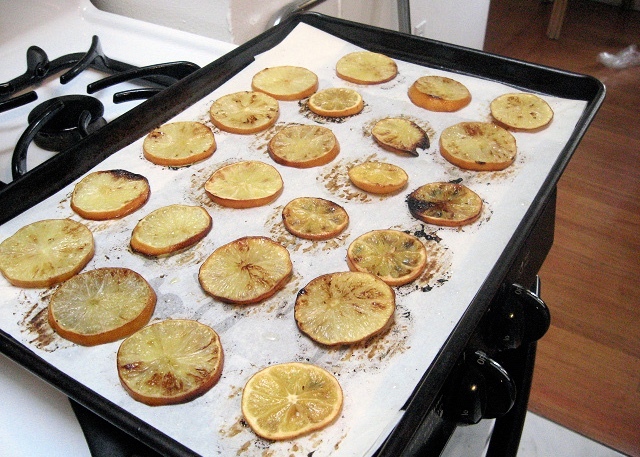 Allow me to introduce you to the wonders of baked lemons. Their delicious, tangy goodness makes a perfect accompaniment to roasted meats, fish, beans, tajins, nut purees and cheese boards alike. Moreover, they're wonderfully nutritious! Lemons are considered to be one of the most alkalizing foods you can eat, making them a dietary must-have that is readily available within most communities (I hear that in Asia, not so much!). This may seem counter-intuitive, as they are acidic on their own (ph between 2 - 3). However, in the body, lemons are an alkaline food; the citric acid does not create acidity once it has been metabolized. This is key to optimum bodily function. Lemons help to push toxins from the body and support healthy liver function, which also keeps skin clear and supple. Kidney stones? Bye bye. Sluggish digestion? You’ve met your match in the lemon. Adding lemons to your dishes aides in digesting the food you’re eating, which means that your body absorbs more of the health-promoting nutrients in your meal. When your digestion is flowing, your overall body function optimizes, promoting weight loss, increased energy and a healthy whole-body glow. Another great reason to eat lemons, they're silly-high in Vitamin C (your skin's best friend). This vitamin neutralizes free radicals both inside and outside of cells. Read on for some of my favorite ways to incorporate baked lemon into a robust Summer cuisine that you and everyone you know can enjoy. First things first, let's bake some lemons. Preheat oven to 350˚. Slice you lemons into the thinnest wheels you can accomplish, while removing seeds from your finished slices. Lay a single layer of lemon wheels across your hotel pan. 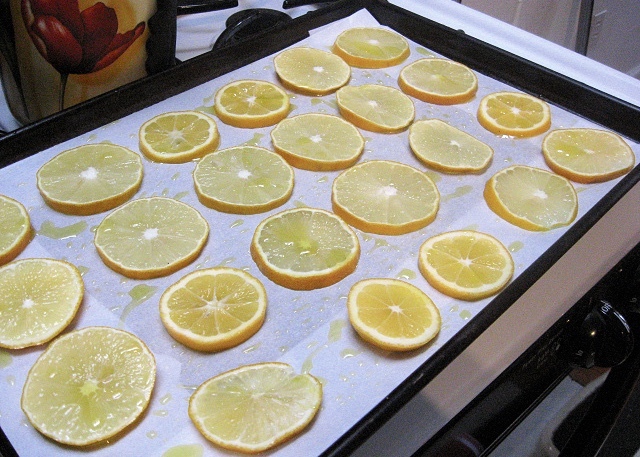 Drizzle sesame oil over lemons, then evenly sprinkle salt across each one. Place hotel pan in oven and bake for 25 minutes, or until golden brown. I like my lemons more caramelized than this photo shows, but these lightly-goldened lemons are great if you're going to double-bake them with meat or fish. How do you eat your lemons? Share in the comment section below!